Rene Burdahl of Innvik, Norway has been busy building boats. Among his recent boats are a 16' canoe. 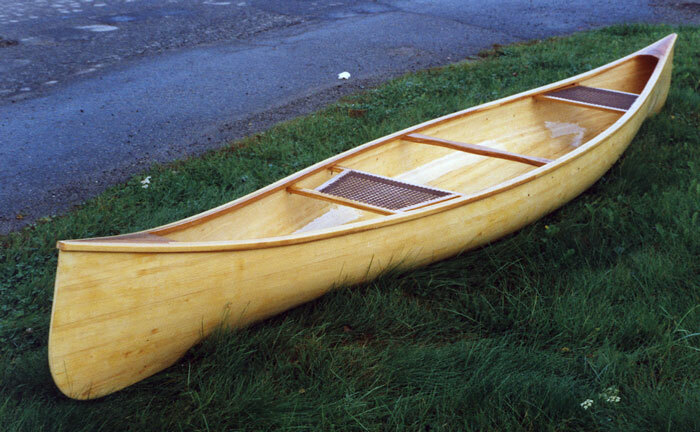 The plans called for cedar strip planking, but Rene used spruce and then glassed the hull inside and out. The seats are oak and gunwales are elm. The yoke and breasthook is cherry. It is a sailing canoe.